Click on arrow on the right hand of the photo to access the full MSC photo album. The Major Stakeholder Conference (MSC) “Co-creating Agendas for Culture in Europe. 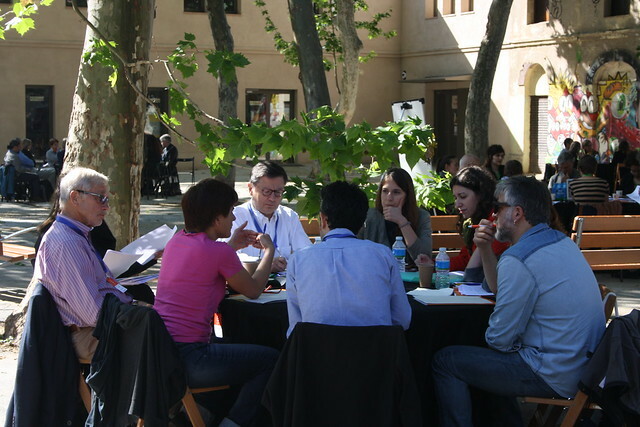 Memory, Inclusion, Creativity” will be held in Barcelona (Spain) on 11-13 May, 2016 in the framework of the CulturalBase project, funded by the European Commission’s Horizon 2020 program. generate a consensus for the profiling of the research agenda(s) & policy recommendations. Participation by stakeholders will be extremely important and highly appreciated in attaining the overall aim of the MSC. CONFERENCE PROGRAMME: en, fr, es.